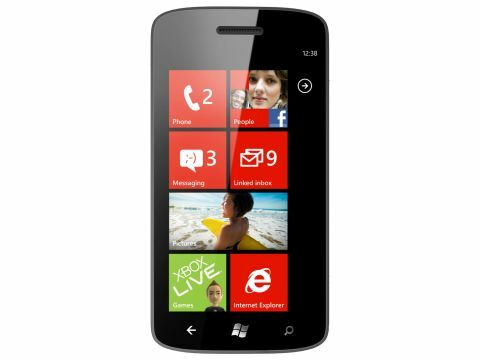 Update: read our Nokia Lumia 800 review. With Android's Ice Cream Sandwich and the iPhone 5 on the way, Windows Phone 7 needs an update to fill in the missing pieces. The Windows Phone 7.5 'Mango' refresh brings with it a comprehensive list of fixes and features, but how sweet is it in action? The big advantage of Windows' mobile operating system is the clean, clear, but far from antiseptic Metro interface, which is so good that Microsoft has taken it to both Windows 8 and Xbox 360. Microsoft hasn't messed with success here – Windows Phone 7.5 Mango has the same signature look as its predecessor, only better. The live tiles are livelier, and you can pin not just apps but specific features within apps to the Start screen (such as the Wi-Fi control, although developers have to allow this). You can also pin groups of people, who you can then text or track on Twitter and Facebook all at once; folders from email; artists; albums; or the new SmartDJ playlists. Without changing the way the Start screen works, Microsoft has made it more useful and more pliant for personalisation. You no longer have to cram all your favourite apps on to it to find them either. Once you have more than 45 apps, letters of the alphabet show up to separate the list. Tap any letter to open an alphabetised grid that makes it fast to find an app without you having to spend time arranging them logically. It's the same principle as the original interface, just made to work better – and in general that's what you get throughout Windows Phone 7.5 Mango.